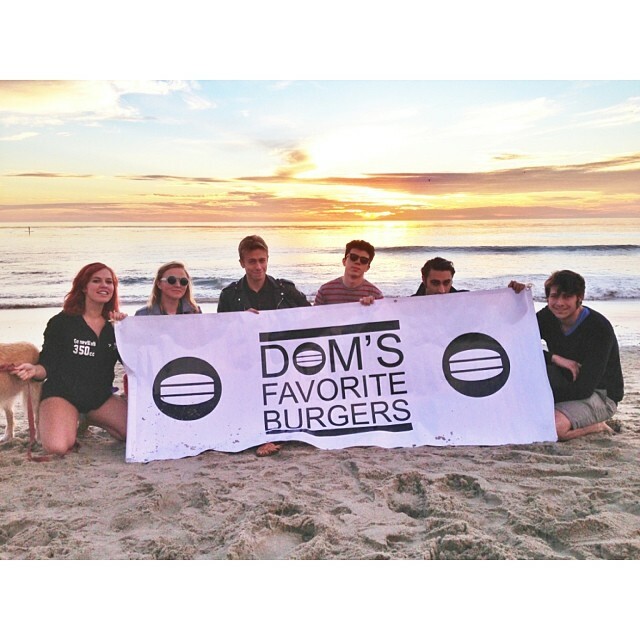 Since 2012, Dom’s Favorite Burgers has been leading the market in providing the best burgers, customer service, and overall experience to the communities of Orange County and Los Angeles. By creating unique dishes with a special flare, Dom’s Favorite Burgers fosters a lively environment while displaying complete excellence on the grill. Chef Dom and his team of Burger Buddies use only 100% grass-fed beef and locally sourced fresh produce, while Chef Dom hand selects each ingredient being used in his creation. DFB believes that love is the cornerstone on all art, and when you have love, there is only one thing to do: Share it with the world. So here we are, sharing our burgers with you. You deserve it.